If you’re the sort who enjoys visiting a fast food joint and eating ketchup, prepare to have your world turned upside-down. 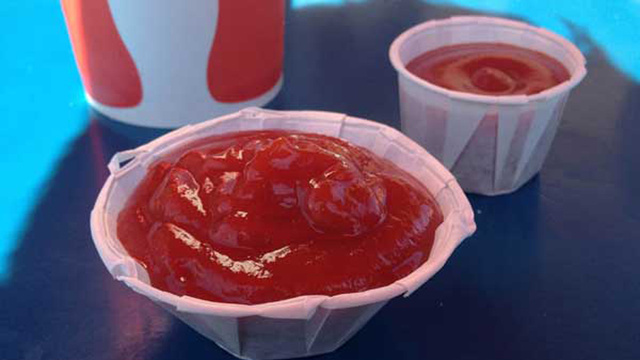 Turns out those paper condiment carriers are meant to be fanned-out, allowing for easier dipping and ketchup access. Who knew, all this time? The proper way to use catsup. I prefer to carry my own bottle. This entry was posted on August 1, 2012 at 5:20 pm and is filed under General Interest. You can follow any responses to this entry through the RSS 2.0 feed. You can leave a response, or trackback from your own site.